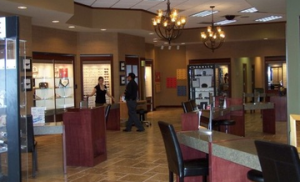 Conveniently located on Uvalde Rd, Texas State Optical in Northshore east of Houston, TX is open 6 days a week. Call us to make an appointment with our eye doctors for an eye exam or just drop in anytime to browse through our large selection of designer eyeglass frames or sunglasses. 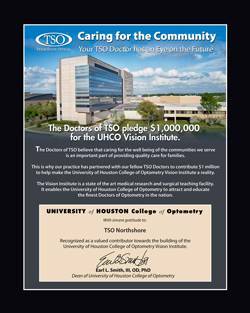 Welcome to TSO Northshore, your optometrist in Houston, TX. You can find us easily, as we have our own storefront in a plaza right near East Freeway. We’ve got a friendly, knowledgeable eye doctor, all the latest eye exam equipment, and a huge selection of top quality eyewear, including designer frames and sunglasses. Looking forward to seeing you! Click insurance to see which medical & vision plans we accept.